Does your library have a Firefox add-on collection? 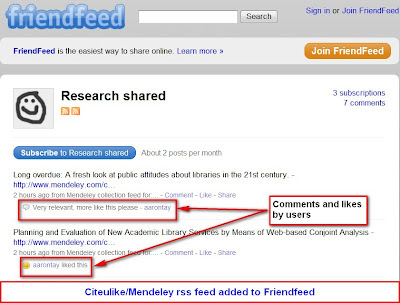 Libraries that are big on Library 2.0 tend to offer a bunch of browser plugins/addons in the effort to reach out to the users who don’t feel the need to visit the Library Portal. They offer custom toolbars, some prefer Libx, others are big on Conduit toolbars. 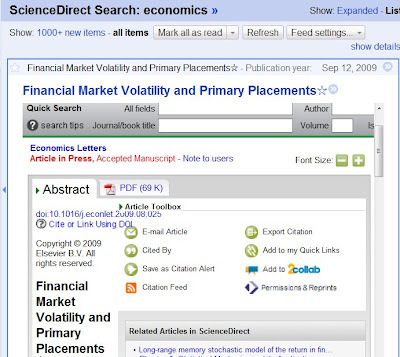 Many progressive libraries are big fans of the firefox addon Zotero for citation management, many more offer opensearch plugins. All of these are available as Firefox add-ons of course. 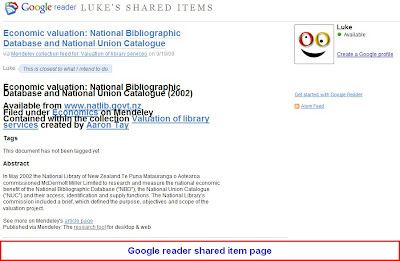 Even Librarians who just use the standard add-ons, tend to have a list of add-ons that they can’t live without and love to recommend these to their patrons. While submitting new Firefox addons to the official http://addons.mozilla.org web site isn’t a particularly new thing, there was no way to group all your favourite add-ons together and offer them in one place. Until recently that is when Firefox revamped their website, allowing “developers” (all you need to do is register, no programming required!) to offer customized Firefox Add-on collections. 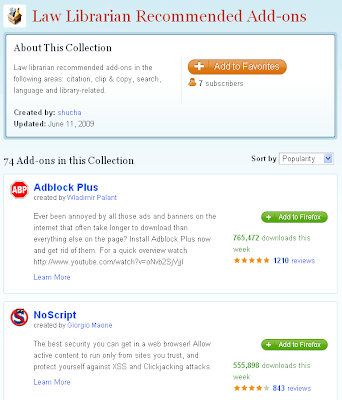 What libraries could do is to upload their unique firefox addons onto the Mozilla addon site and then bundle them together with other useful standard addons as a collection and offer them together to users. 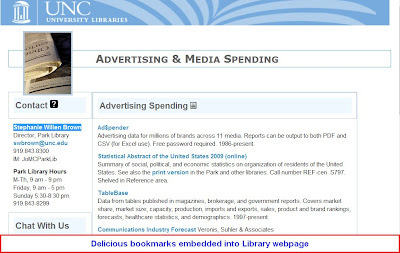 As always I checked to see if any libraries had this idea and indeed some had (It’s hard to have a really original idea, librarians are really creative!). 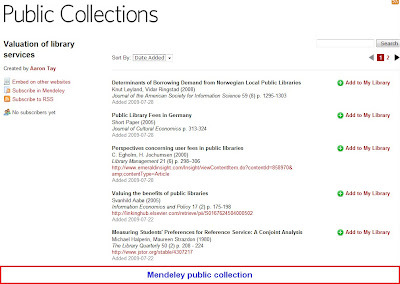 As of writing these collections include the “Law Librarian recommended Add-ons” (University of Wisconsin-Madison) , “Swem Library“(Earl Gregg Swem Library), “Copenhagen Digital Library” , “Recommended for Library staff” (Ada Community Library) . Of them all, the first is probably the most interesting and many of the ideas here is owed to that collection. They don’t have many subscribers yet though. Managing the collection is quite simple particularly if one uses the Mozilla Firefox Add-on Collector , as you can add to your collection add-ons that are installed in your browswer(See feature list and video demos of creating a collection and setting up a collection that updates based on your installed addons). Below is a screenshot of how you can select add-ons that have already being installed in your browser to be added to your custom collection. 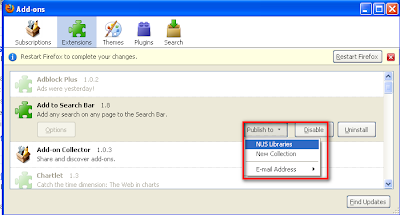 Users can subscribe to a collection via RSS feed or better yet if they install the Mozilla Firefox Add-on Collector, they will be notified whenever the collection updates. The last is a interesting feature, particularly if you are offering your own custom add-ons and constantly update them. Do note that add-ons you offer in the collection must be hosted on the Mozilla add-on site, so you will have to submit to them first. 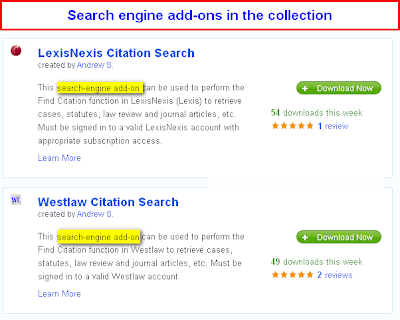 I was looking at the Law Librarian recommended Add-ons and to my surprise I noticed that opensearch plugins (known as search engine add-ons in Firefox such as this) could be added to the collection as well. 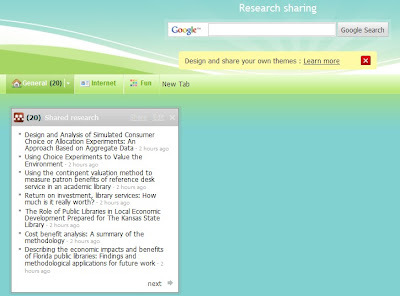 Many libraries offer custom toolbars such as Libx, Conduit toolbars as well as other custom toolbars for download (see examples here, here ). Those can go into your collection. 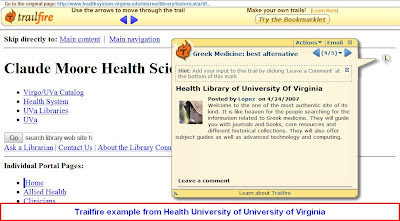 I’m playing with a pilot/experiment WebMynd add-on that includes library catalogue results alongside the default results whenever the user searches Google.com, Yahoo.com etc and that could be added as well. There are also quite a lot of unique custom made for library add-ons being demoed at various “Library Labs” that could conceivably be added for those libraries. 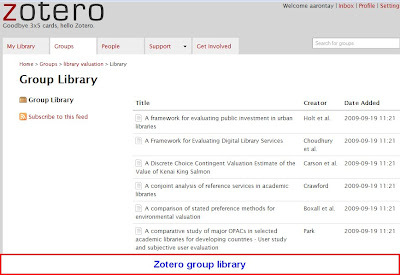 Zotero is the obvious choice here. 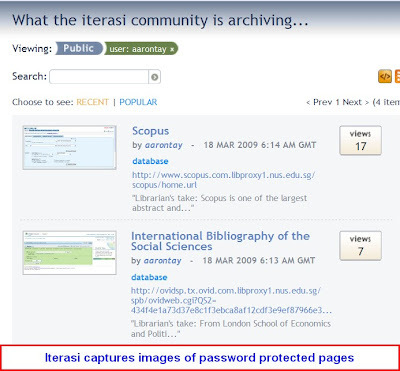 Law Librarian recommended Add-ons collection also includes many interesting Zoterio plugins I was not aware of including Zotero Plugin for MONK Project , SEASR Analytics for Zotero , Zotz . 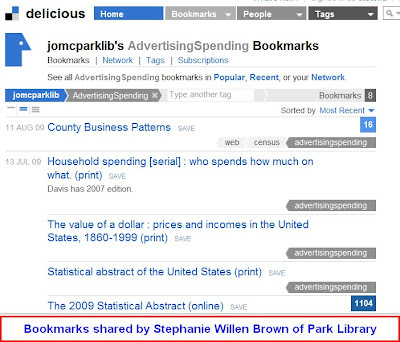 There are also sticky note/web annotation/scrapbook related add-ons like Diigo which I favour. There’s a ton of other addons you can add to your collection, that can help making research easier or are just so useful you can’t leave them out (e.g Adblock, Autopager), see for example this list. Definitely add greasemonkey if you are offering greasemonkey scripts. 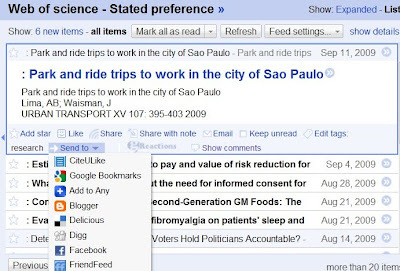 with specific options setup for your institution users (e.g. Openurl resolver settings set to the correct url). Are there any more libraries creating Firefox Collections? What do you add? I’m interested to hear from you.